So for the weekend after my graduation, I was relaxing at home. I love busting out my baking whenever I'm at home, because it's where the possible baking supplies I would need are most complete. I was looking around for a new but no-fuss recipe that I could try out when I found this sinfully simple recipe for gourmet-tasting chocolate chip cookies. 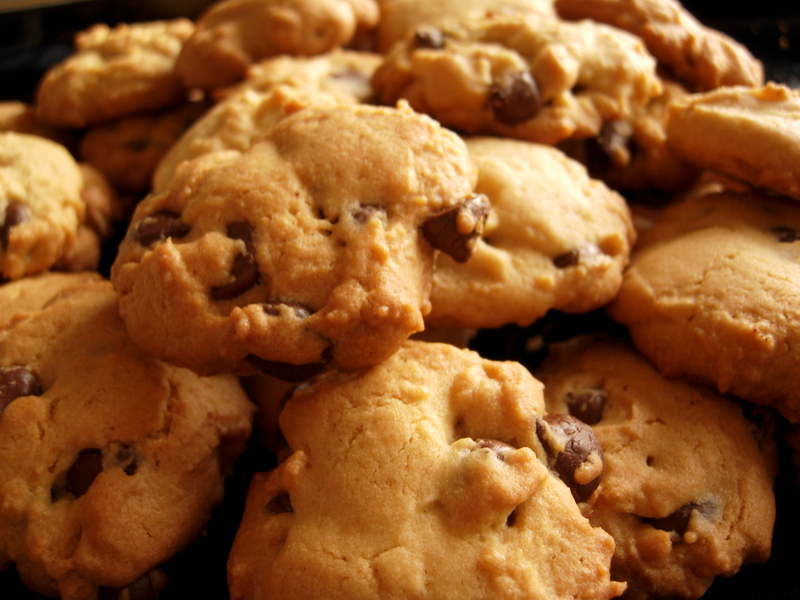 There are many styles of chocolate chip cookies, and I'm quite fond of the type that are nice and chewy. These are also the kind that are sold most often at bakeries and cafes. But I remember fondly a special kind of homemade chocolate chip cookies that I've mostly only tasted at bake sales while growing up. They were not chewy, but rather a more cakey type of cookie…soft and full of rich vanilla flavor. In all the years I've been baking, I've mostly only made the Toll-House style of CC cookie, so now I was determined to try this award-winning recipe that has a deceptively simple secret ingredient that makes all the difference…. 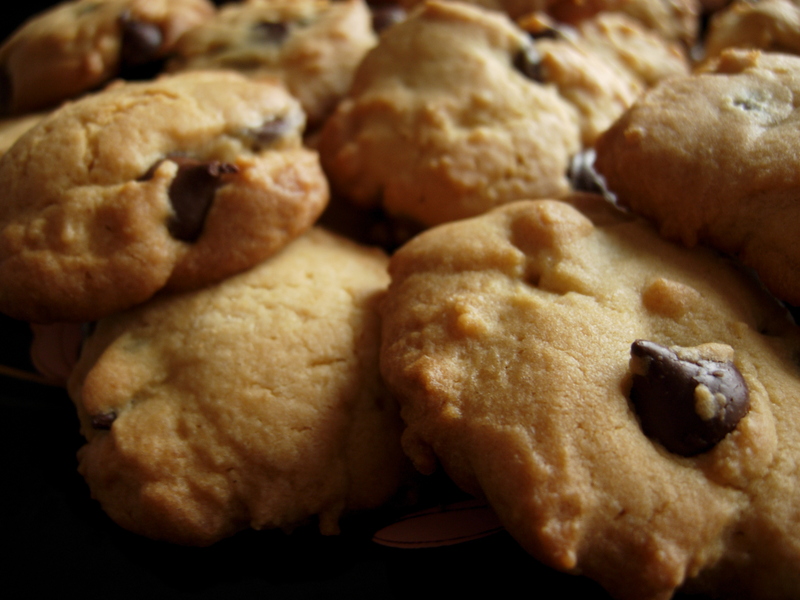 If you like your chocolate chip cookies cakey, this is the recipe you've been looking for! 1. Preheat oven to 375 degrees F (190 deg C). 2. In a mixing bowl, cream butter and sugars. Add pudding mix, eggs, and vanilla. Combine flour, salt and baking soda; add to creamed mixture and mix well. Fold in chocolate chips. 3. Drop by teaspoonfuls onto ungreased baking sheets. 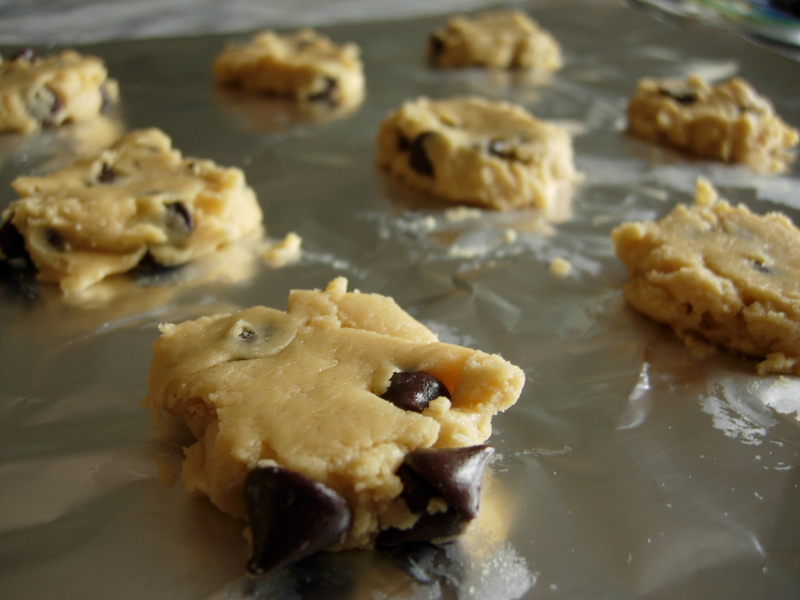 Bake for 10-12 minutes or until lightly browned at edges and ridges of cookie. Notes: For this recipe, I made it as shown above, which is modified from the original recipe I was trying to follow. I cut down the amount of sugar and chocolate chips that was originally called for. It was supposed to be 3/4 cup of brown and 1/4 cup of white sugar, along with 2 cups of chocolate chips. A few other changes I made were to include the salt, which was not originally called for, and to increase the vanilla from 1 tsp to 2 tsp. 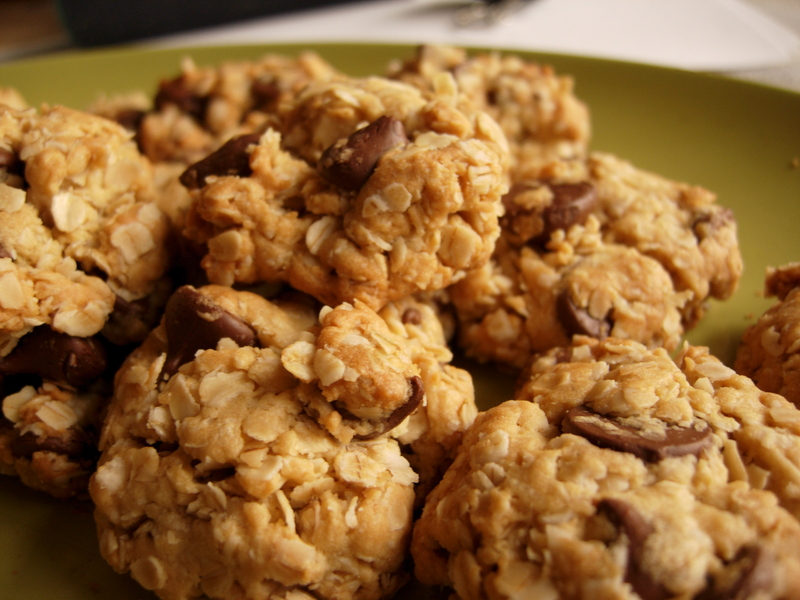 See Allrecipe's "Mom's Chocolate Chip Cookies" recipe for the original formula if you are interested. I prefer to make my cookies not too sweet because my family doesn't like things too sugary, and they don't want too many chocolate chips. While preparing successive batches to go into the oven, I experimented a bit with batter drop size, shape, and length of cooking. I originally dropped them by tablespoons, and did not flatten them at all, because I'm used to cookies that spread somewhat. However, these cookies really don't spread at all, they just puff up. Thus, I highly recommend that you drop by rounded teaspoonfuls and then flattening them to about 1/3" thick before sending them into the oven. 10-12 minutes was good enough for my oven, but rather than wait a specified amount of time, start to check the cookies at around 8 minutes for a golden browning along the edges and ridges of the cookie. The rest of the cookie will still be a bit pale, but trust me this means they're done. If you wait until the whole cookie surface starts to turn golden, you'll have overbaked them, and they will be crispy rather than soft. There were so delicious, especially with a cold glass of milk. My brother ate 6 of them during the time I was churning through the batches haha. I managed to make more than 48 cookies with this recipe, but you can adjust based on the size of cookie you desire. Mine were about 2 inches in diameter. The way I made it, there were maybe on average 4 chips in each cookie, which I thought was plenty of chocolate for a small cookie. You can alter this to your liking. This entry was posted on Saturday, June 23rd, 2007 at 8:48 am	and posted in American, baking, desserts, recipes, Uncategorized. You can follow any responses to this entry through the RSS 2.0 feed. « June 8th – Graduation!! That's the exact recipe I use with the instant pudding. So good! Everybody always goes crazy for these!